Michel Chapoutier is one of the Rhone’s top high-end producers, but he’s also fond of crafting delicious wines from neighbouring regions at delicious prices. 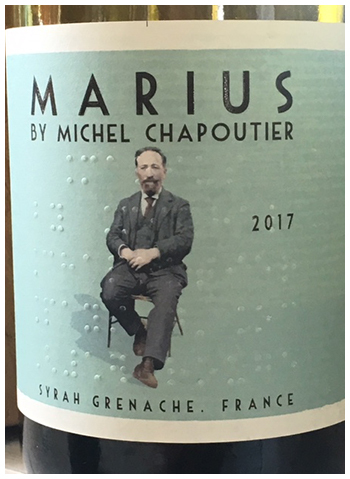 His ‘Marius’ delivers pepperiness from the Syrah grape, and delicious flavours and vitality of Grenache. My favourite yummy/lively combination in red wine. Perfect with any nourishing food, and company. What a bargain trip to the south of France. Next articleIF I WAS SITTING ON THE PATIO OF….